Bradford bed and breakfast travel guide for romantic, historic and adventure b&b's. 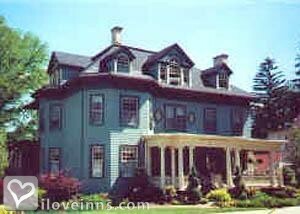 Browse through the iLoveInns.com database of Bradford, Pennsylvania bed and breakfasts and country inns to find detailed listings that include room rates, special deals and area activities. You can click on the 'check rates and availability' button to contact the innkeeper. Bradford, PA is popular for hiking along the trails of the Allegheny National Forest. Other natural attractions here are Kinzua Bridge State Park and Rock City Park. There are several ski resorts in the area and the most popular among these are Art Roscoe Ski Area and Holiday Valley Ski Resort. You might try Seneca Allegany Casino, Penn-Brad Oil Museum, Green Gable Village, Salamanca Antique Mall, or Flickerwood Wine Cellars. Tours to the natural attractions can be facilitated by staff members of Bradford bed and breakfast inns. By Mountain Laurel Inn.